Duke Ellington may have been the first African American Genius of Jazz to be widely recognized. As noted by Giddins, Louis Armstrong did not fit the mold of previous geniuses. By contrast, Duke Ellington presented a himself as a pianist, band leader, composer, and eloquent spokesman for the nascent art form. He seemed to conjure much of jazz out of the ether including the combination of sacred music with jazz, extended jazz compositions, and composing with such creativity as to have crafted timeless pop standards alongside monumental musical edifices. Often imitated by other band-leaders, Ellington’s creativity seemed an inexhaustible spring. This begs the question, why wasn’t the bass trombone a jazz timbre first explored by Ellington? Another explanation may have been that the ideal of beauty Ellington imagined for the bottom of his wind section was already occupied and satisfied without a bass trombone. This may have been partially due to the presence of one of his ‘signature sidemen’-Harry Carney. Carney’s wood wind expertise accompanied Ellington throughout the entirety of the famous band leaders career, and Carney’s most notable contribution was that of baritone saxophone, (in addition to clarinet). With Carney as the anchor of that incredible saxophone section and all of the winds, could Ellington aspire to a richer sound? This assertion may be particularly apt when taken in consideration of the extremely rich and full timbres of some of the Ellington tenor trombonists-most notably Lawrence Brown and Juan Tizol. While it may be a stretch to consider either musician a ‘de facto’ bass trombonist, their sounds were deep and warm. Both were sought out as studio musicians after leaving Duke’s band, Brown in New York and Tizol in Los Angeles. There can be little doubt that Duke made the most out of every musician and timbre that came his way. By hiring such notable tenor trombonists and promoting their unique abilities, Duke may not have come across the bass trombone because the instrument was not of significant interest to any of his early trombone-playing sidemen. This jazz standard, by Duke Ellington and Bob Russell, is one of the most well-known songs of all time. Originally an 1940 instrumental entitled “Never No Limit”, lyrics were added by Bob Russell in 1942-for an upcoming dance. Since the lyrics depicted a dance atmosphere, Ellington renamed the tune, and the newly titled song became an immediate hit. This was due (in no small part), to its inclusion on the Ink Spots top-selling album of 1943, while Duke’s recording became part of the top selling instrumental album of the same year1. “Don’t Get Around Much Anymore” has been recorded on over 2,000 albums including definitive recordings by the likes of Nat King Cole, June Christy, Mel Torme, and Ella Fitzgerald. This classic standard is widely requested at jazz social events and, while it has been recorded by more vocalists than instrumentalist, there have been numerous instrumental arrangements and re-harmonizations as well. I have selected the 1985 Tom Kubis arrangement for bass trombonist Demetri Pagalidus. 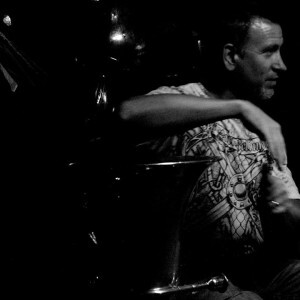 Both of Pagalidus’ big band albums (Silverware and Another Place Setting), were privately financed by him, and featured many of the top Los Angeles studio musicians of the day. Many years ago (for some unknown reason), these two albums were pulled from music store shelves, but are still thriving in underground circuits and enjoy wide distribution among big band collectors. After the albums were released, Pagalidus kept the arrangements in his attic and never used them. An executive at his corporate law firm, Pagalidus rarely played the bass trombone anymore. When Tom Kubis tried to get back his original charts in order to publish them, Pagalidus repeatedly refused, reasoning that he had paid for the arrangements and wanted them for himself. By a strange coincidence, I received a call from a friend house-sitting for Pagalidus, who asked if I knew the location of the arrangements. Upon hearing the rumor that they were kept in the attic, my friend found the large moving box which contained all of the big band books used in both albums! A few were scanned and, to my complete surprise and delight, sent to me the next day via email. I forwarded them directly to Tom Kubis. Within a few minutes, my cellular phone rang; it was Tom Kubis himself, and he asked me where I got the charts. I told him to not mind about where I got them, but that I felt he should have them back. Kubis laughed and said he would publish them immediately, while crediting me for returning them. This Kubis arrangement of “Don’t Get Around Much Anymore” has been in my possession for the years since, and I use it frequently with my group-The Drive By Big Band. This chart has a demanding lead trumpet part as well as a tricky sax soli. All of this is in addition to the precision needed for the solo bass trombone part. The solo bass trombone part is exposed, and its linear nature requires the soloist to utilize good fundamentals while playing precisely and cleanly. The most important concept is slide precision and note clarity, especially since most of the solo lines fall on the same partial. As the slide moves along the same partial to create the lines in question, the positions must be exact in order to avoid incorrect lines or unwanted glissandos. The bass trombone part imparts another level of difficulty with the addition of valves which require smooth airflow as the valves open and close. This means that the air must instantly change speeds in order to compensate for the air traveling ever-changing distances through the bass trombone. Below, this example can be played in one partial except for the last note. This note requires opening both valves and forces the air to travel a greater distance. The ultimate goal is a fluid like motion and no interfering with the tempo. 1. How would you describe the use of the bass trombone in Duke Ellington’s orchestra? (Jazz bass trombone being defined as having a .547 bore or larger with at least one valve). Ellington didn’t begin to utilize a large-bore trombone until 1961 with the addition of Chuck Connors. Duke always used the three trombones prior to 1963 as unique and individual voices that would blend to create a particular sound-(the sound unique for each tune that matched the sound in his mind’s ear),…and that would be determined in part by who was playing which part as this would depend on each tune. I would describe Ellington’s trombone section up until then as trombone 1, 2, and 3…not, tenor 1, 2, and bass trombone. Dig? It wasn’t until the addition of Connors that Ellington would utilize a more stereotypical sound of two tenors and a bass section sound. 2. Why did Duke seem to favor three trombones? When did he switch to four? Ellington was back to using three bones on the Symphomaniac (Symphonic or Bust) [recorded and released on the Reprise label in 1963] is certainly a huge sound. But, that’s Ellington. Ellington was able to get a sound out of three trombones that most jazz arrangers could only get using four. Swinging Suites by Edward E. & Edward G. (also known as Peer Gynt Suite/Suite Thursday…or “Zweet Zurzday”) Ellington recorded for the Columbia label in 1960. Ellington made use of the four-trombone sound here, too. But, curiously he only used four on the Grieg stuff – Lawrence Brown, Mathew Gee, Booty Wood, and Britt Woodman – all tenors of course. A Concert of Sacred Music Live from Grace Cathedral and on DVD as Love You Madly/A Concert of Sacred Music at Grace Cathedral. The official album on RCA, A Concert of Sacred Music, was recorded at two concerts at Fifth Avenue Presbyterian Church in New York on December 26, 1965. The concert premiered on September 16, 1965. (First Sacred Concert); Lawrence Brown, Buster Cooper, Quentin Jackson, Britt Woodman – trombone, John Sanders – valve trombone, Chuck Connors – bass trombone. January 19, 1968, Ellington’s Second Sacred Concert ; Lawrence Brown, Buster Cooper, Bennie Green – tenor trombone, Chuck Connors – bass trombone. Third Sacred Concert, October 24, 1973, Ellington was back to writing for three trombones. Art Baron, Vince Prudente – trombone, Chuck Connors – bass trombone. 3. Which is the first trombone part you are aware of that goes below low ‘E’, and would require a trigger? 4. Do you think that Harry Carney’s incredible tenure with Duke Ellington predisposed Duke’s thinking of the Bari-sax as the bottom of the winds, and as his first consideration for a bass voice solo instrument? I’m not sure Carney’s sound has a direct correlation to the “bass” sound in Ellington’s head, at least one that would relate to Ellington’s use of the bass trombone. “Agra” from the Far East Suite, Carney walks all the way down the instrument (Bari here), in a loud, gruff manner. Ellington never really uses Chuck (or Taylor) in that way. 5. When did Duke perform with tuba as opposed to string bass? It seems that 1927 is the pivotal year that Ellington switches from tuba to bass. 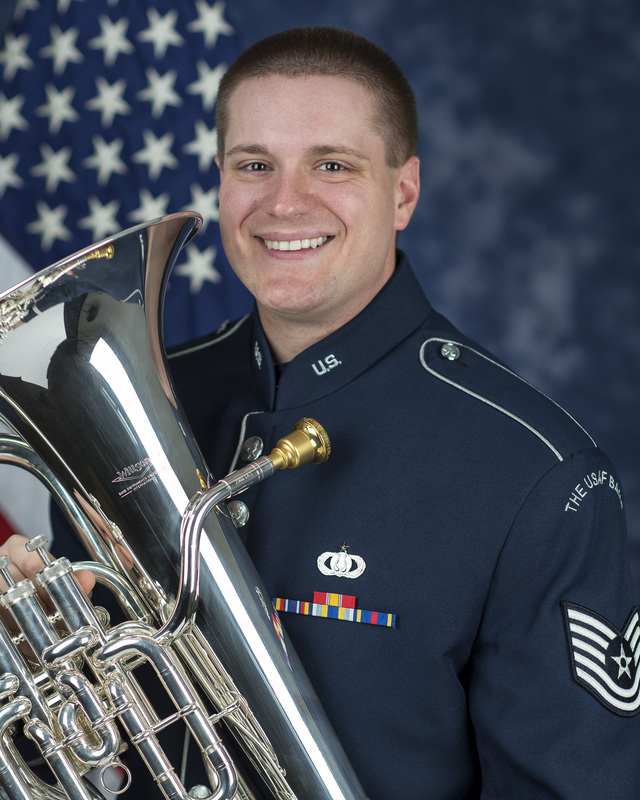 “East St. Louis Toodle-Oo”, Welman Braud plays tuba. In the very next recording, “Black and Tan Fantasy”, Braud is heard playing string bass. It is interesting to note that Duke is still using banjo here. While, in the minds of many, there is a link between banjo and tuba, Ellington and Braud can be credited with the innovation of using the double-bass rather than the tuba in jazz rhythm sections. Braud’s initial recording sessions with Duke were in October 26, 1927. In “Washington Wobble”, Braud takes a short pizz solo. Braud’s brief solos are important, because some historians maintain Bill Johnson’s solo on Johnny Dodd’s July 1928 “Bull Fiddle Blues” is the first recorded pizzicato jazz bass solo. Also, Braud has been characterized as a two-beat player, but he often played four-beat pizz walking style, such as the November 1928, Okeh recording of “Misty Mornin'”, which is both arco and four-beat style. On a November 3, 1927 recording of “Black and Tan Fantasy”, Braud switches from arco to pizzicato and back. For the March 1928 Victor session of “Black Beauty”, Braud utilizes double-time. On a November 1928 session, “I Can’t Give You Anything but Love” Braud recreates the tuba intro he played on an earlier version, but this time on bass. 6. Did you know Chuck Conners? Chuck Connors was a friend of mine. Sometime, (I think it was 1991) I was in need of a bass trombone as I had hocked mine. I was put in touch with Chuck through a mutual friend who ran a big band in town (Pavilion Music Company), Marcus Ware. I called Chuck and he said to come on by and pick out a horn. He said I could borrow one as long as I needed! I drove to his house, then rang the bell…his wife (Betty I believe) answered the door. She told me that Chuck was at a doctor’s appointment and would return shortly. She showed me around their modest home. Hundreds of pictures hung on the wall; some family pictures and artwork, but mostly pictures of Chuck with members of the Ellington band, playing in the Ellington band, of him with celebrities, etc. Occasionally she would point and reminisce…at pictures of Chuck with “Diz”, Ellington, and Sammy Davis, Jr. I was star-struck. Chuck returned. We continued to peruse the pictures on the wall and worked our way down some stairs to the basement. There were maybe twenty trombone cases strewn around the basement. He brought several closer to me and opened the cases: a Conn single-valve, a Bach 50B single-valve, a Remington Contempora single-valve, and one I can’t recall. He mentioned that he was playing a 50B double-valve lately and that any of these were mine for the choosing. I played on them all and opted for the Reynolds Contempora. I fell in love with this horn. I’ve seen several pictures of Chuck playing, or posing with this horn in his. It makes me smile every time. We stayed in touch. By the time I returned the horn, Chuck had past. I returned the horn to Betty. I don’t know what happened to that horn…but, my memories of Chuck reside permanently in the recesses of my mind. When I hear his sound, I am taken back to my youth in Cincinnati, Ohio where a man made an indelible impression on me as a musician and human being. I believe my career was in part, shaped by the generosity of Chuck Connors. His sound, the Ellington Orchestra, his kindness and warmth as a person and musician – ELLINGTON – all played a role in shaping my career choices. 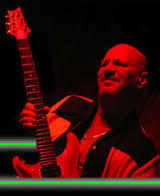 Marc T. Bolin has performed with some of the world’s finest artists and organizations such as B.B. King, Dee Dee Bridgewater, Lalo Schifrin, Herman Olivera, Pete Escovedo, Sheila E, Black Eyed Peas, Deltron 3030, Aloe Black, and Stevie Wonder. He recently participated in a State Tour of China playing traditional Jazz, performed with the Ambassadors of New Orleans’ Jazz at the Red Sea Jazz Festival in Israel, has performed in two of Philip Glass’ Operas Akhenaton and La Belle et la Bete, and has even played on the Mississippi Riverboats. In 2007 Marc was commissioned to realize Duke Ellington’s incomplete opera Queenie Pie for the Oakland Opera Theater then in 2008 was invited to present his research and reflections in his paper Realizing the Duke at the Echoes of Ellington Conference at UT Austin. In addition to Oakland and UT Austin’s productions, both Long Beach Opera and Chicago Opera Theater will perform Queenie Pie in 2014.